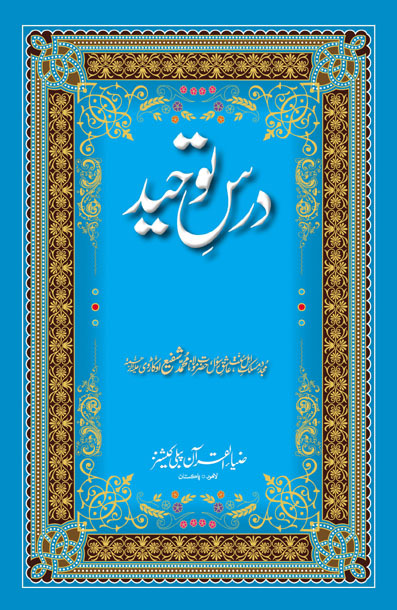 Description The original booklet Dars e Tauheed was written by Siraaj ud Deen Saahib in 1962 a representative of the Deobandi sect, it is filled wit fictitious and fabricated statements against the Sunni Barelvi belief. Khateeb e A’zam Hazrat Maulana Muhammad Shafee Okarvi (Rahmatul Laahi ‘Alaieh) responded by writing this concise booklet even though he could have written thousands and thousands of pages. This reply reveals the truth by referencing to the original teaching of the founding scholars of the Deobandi School of thought, hence the phrase, “In its own mirror”. Siraaj ud Deen called our practices wrong even though his elders did the same. We hold this mirror up and ask, “If you declare us wrong, then what do you have to say about your own elders?”…….. A must read!